When will be Ice Wars next episode air date? Is Ice Wars renewed or cancelled? Where to countdown Ice Wars air dates? Is Ice Wars worth watching? This provocative series takes us to the frontline of Australia's drug war on the drug known as Ice. Through unprecedented access, we follow the stories of Meth lab busts, front line importation arrests at the docks with Task Force Polaris, decontamination of suburbs by the cleanup crews, forensic teams tracing precursors and toxicologists investigating human impact from passive Meth cooking. 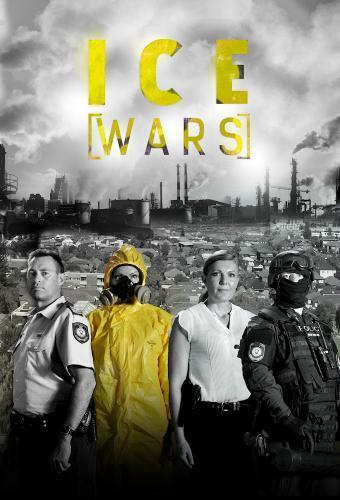 This new Australian series explores where Ice comes from, how it's made & what kind of people benefit from the profits made on the misery of users. We hear from the Police who plan & execute anti-Ice strategies daily. Small towns feel the effects of social dislocation caused by ice. In Nowra many drivers test positive for meth at roadside drug testing. Anthony Mundine visits his hometown of Wellington to see the effect ice is having there. Police and Health Services in Blacktown manage the local ice problem. A World Champ speaks out about his struggles with addiction, showing meth doesn't discriminate. Another ex-user tells of redemption through rehabilitation. Ice Wars next episode air date provides TVMaze for you. EpisoDate.com is your TV show guide to Countdown Ice Wars Episode Air Dates and to stay in touch with Ice Wars next episode Air Date and your others favorite TV Shows. Add the shows you like to a "Watchlist" and let the site take it from there.